Eureka Secondary School belongs to a worldwide community of educational service, reaching back to the founding of the Congregation of the Sisters of Mercy in 1827, now under the trusteeship of CEIST. 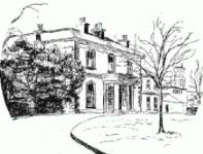 The Sisters of Mercy first provided secondary education for girls in Kells in classrooms attached to the Convent in 1924. The school moved to the existing site at Eureka House in 1956. The school kept the name Eureka. It is assumed that the landlord who owned Eureka House, had a classical education and would have learned about Archimedes. From the beginning, the school provided a comprehensive and imaginative curriculum, and from an early stage taught Honours Mathematics, Physics, German, Art and Music at a time when these subjects were not commonly available in secondary schools. The school continues to provide a wide range of subjects, and has successfully introduced additional programmes such as the Transition Year Programme, the Leaving Certificate Applied Programme, and the Leaving Certificate Vocational Programme. 1844 Three Mercy Sisters first arrived in Kells in a sidecar from Tullamore. They undertook the running of the girl’s primary school which had been set up by a local lady Catherine Dempsey in 1840. The school was located on the present day convent grounds and still has her name over the door of the old school buildings. 1888 The Sacred Heart Orphanage was set up by the Sisters and located on the convent grounds. The primary school grew and expanded steadily. 1924 The Mercy Sisters decided to open a secondary school. It consisted of two rooms in the convent. Sr. M. Ignatius Murphy was appointed Principal and Sr M Ita Searson taught with her. Later they were joined by Sr. Malachy McEnroe. 1934 Demand for places in the school grew and a new school was built on the convent grounds. Miss Conway was the first lay teacher. 1940's Three new sisters who studied in UCC joined the teaching staff - Sr M Evangelist Cooney, Sr. Benignus Kelly and Sr Gertrude Monahan - and all played key roles in the development of the school. 1954 Compulsory school uniform was adopted for the first time - navy gymslip and jumper, white Peter Pan collar and white belt, blazer and beret both with crest. Enrolment reached 147. 1954 Students attended the secondary school when it was located in the grounds of the convent, before moving to Eureka House. At this time Eureka House was bought by the parish. It was built in 1882 and originally belonged to Lord Headfort. It was intended to be used as a Parochial House but proved unsuitable so Monsignor MacCullen decided to make it available to the Mercy Sisters for use as a secondary school. It was renovated and adapted as a school at a cost of £4,000. 1956 On 26th April 1956 the new school was officially opened and blessed by Monsignor MacCullen. The name “Eureka” was retained on his recommendation. Classes commenced there on the same day! The sisters recall walking down the road from the old school carrying blackboards, easels, chalk, dusters etc. There were six classrooms, music, and typewriting and reception rooms capable of catering for 150 pupils, all in Eureka House. The school was heated by electric wall-heaters and a big coal and turf stove off the main hallway. There was a great air of excitement among teachers and pupils alike for this new venture. There was plenty of playing space even if it was in grass, a great improvement on the small gravel yard back up at the old school. There were lots of rhododendrons and daffodils on the grounds and a stream running close by, all of which provided a beautiful setting for the new school. Sr. Evangelist was Principal of the school at this time. 1960s Both enrolment and the school continued to expand and with the addition of three new classrooms and numbers reaching 282, a pre-fab block was erected adding 4 more classrooms and toilets. The area at the back of the house was changed from grass to tarmac to provide tennis courts and playing areas. In 1969 a second floor was added to the 1962 building, giving four more classrooms. 1966 Sr. Evangelist retired as Principal and Sr. Benignus became the new Principal. 1968 The first male teacher, Mr. Leonard Noone, joined the staff. 1970s Enrolment numbered 332. In 1972 the Gym, Science Lab, three classrooms and toilets were built. In 1978 there was the addition of two more classrooms and a sewing room. A room in the main house was designated to be a Religion room. 1980 St. Catherine's Boarding school was closed after the Leaving Cert. exams in June. Sr. Benignus retired and Sr. Pauline was appointed as Principal. Enrolment had then reached 444. 1981 On May 24th, the 25th Anniversary of opening of Eureka was celebrated with Mass concelebrated by priests of the parish, followed by tea in Eureka hall. 1980s New block of rooms were built to include 3 classrooms, Home Economic rooms and Physics-Chemistry laboratory. In 1988 there was the addition of two prefabricated classrooms. 1986 Sr. Pauline retired as Principal and Sr. Joan Dunne was appointed to take over the role of Principal. 1990s Enrolment was now at 638. The Canteen, a new Art Room and six more pre-fabricated classrooms were built. 2000s The Staffroom moved to refurbished classrooms, two additional classrooms provided, Science lab refurbished, second Home Economics kitchen provided, four older classrooms refurbished. 2006 Eureka celebrated Golden Jubilee. 2006 Sr Joan retired and MsCaroline O’Reilly was appointed as the first lay Principal. New Art room, new Science lab and smart boards with data projectors were installed. 2009 Mr Broderick retired and Ms Gabrielle Moran was appointed as new Deputy Principal. The drive with technology enhancement continues with the introduction of eportal in 2011. New School due to begin August 2015 and open in August 2018!